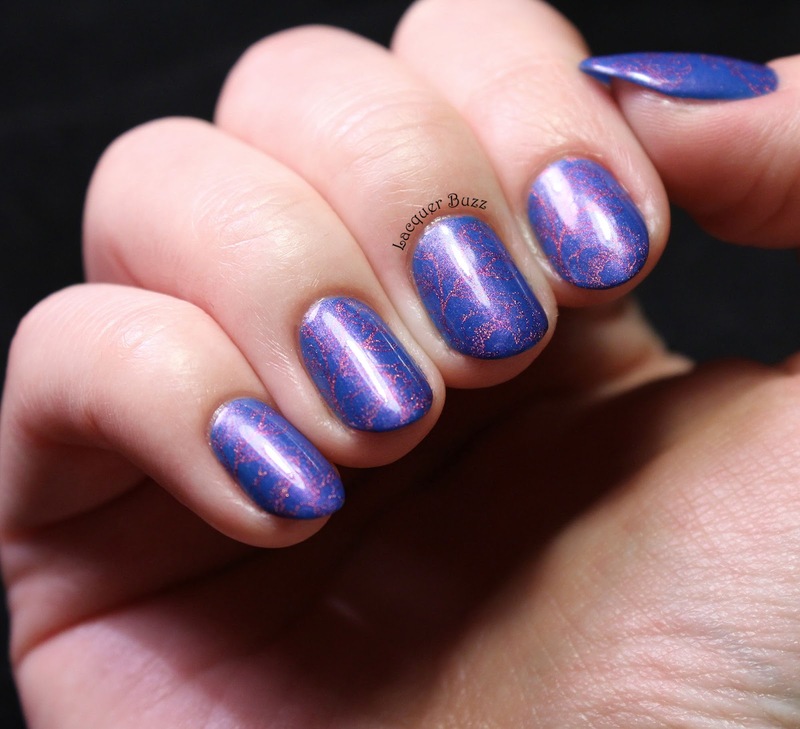 Come Rain or Shine is a medium blue polish full of iridescent pink shimmer. The shimmer is quite visible although it's tiny, because it's really dense and gives sort of a pink sheen to the nail in indirect light. Most of my photos are in direct light because I wanted to bring out the shimmer as much as possible. 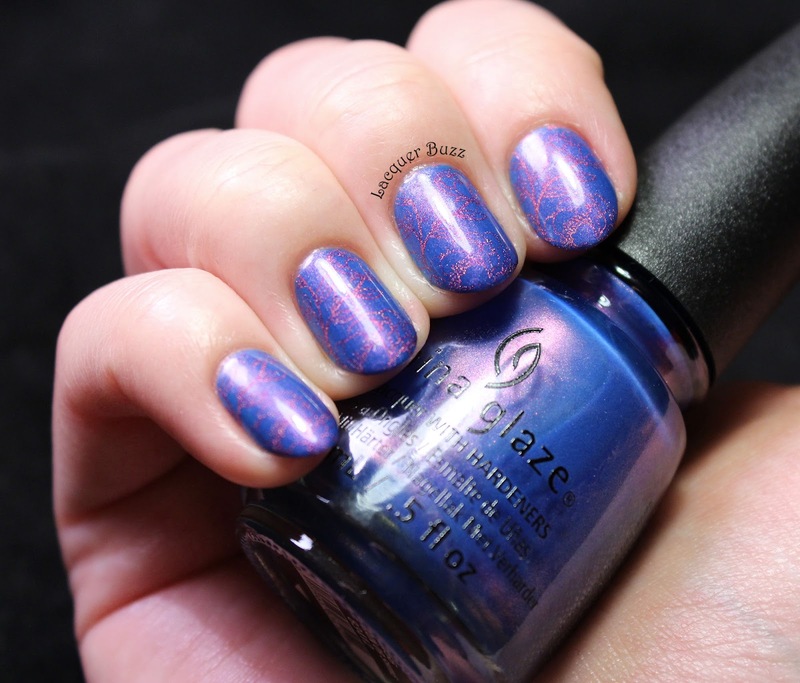 To me this is the cobalt blue version of China Glaze Fancy Pants, although the shimmer seems less hidden in this one. 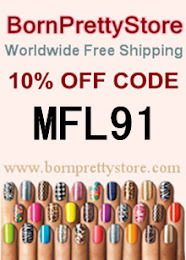 The formula was great and went on smoothly in two coats. The polish has just the right amount of sheerness to show the shimmer and still look good after two coats. It goes on a bit streaky but levels out nicely afterwards. 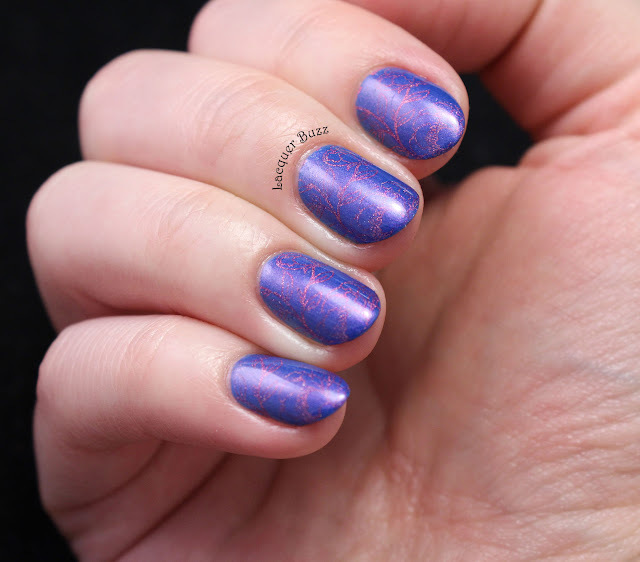 I decided to add some stamping in a color similar to the shimmer to bring it out even more so I used Kiko Holographic 402. I wanted to use an image with thin lines so it wouldn't cover too much of the polish underneath. I ended up using a beautiful flower image from plate Qgirl-048 from the Born Pretty Store and struggled quite a bit with it. 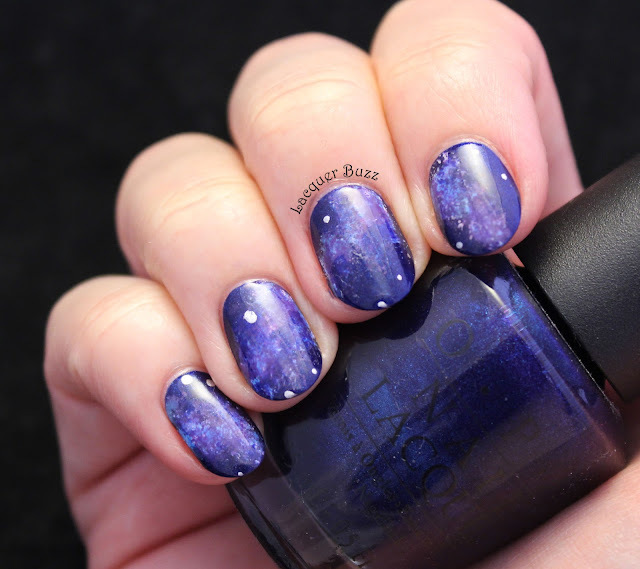 I needed several tries for each nail before the image picked up entirely on the stamper. The lines are so thin and so shallow that you need to scrape really lightly to leave some polish in them. For my other hand I used one of the other images and it worked a lot better because the lines aren't that thin. Here's a light box photo that shows the stamping better. I'm very happy that I picked up this polish. 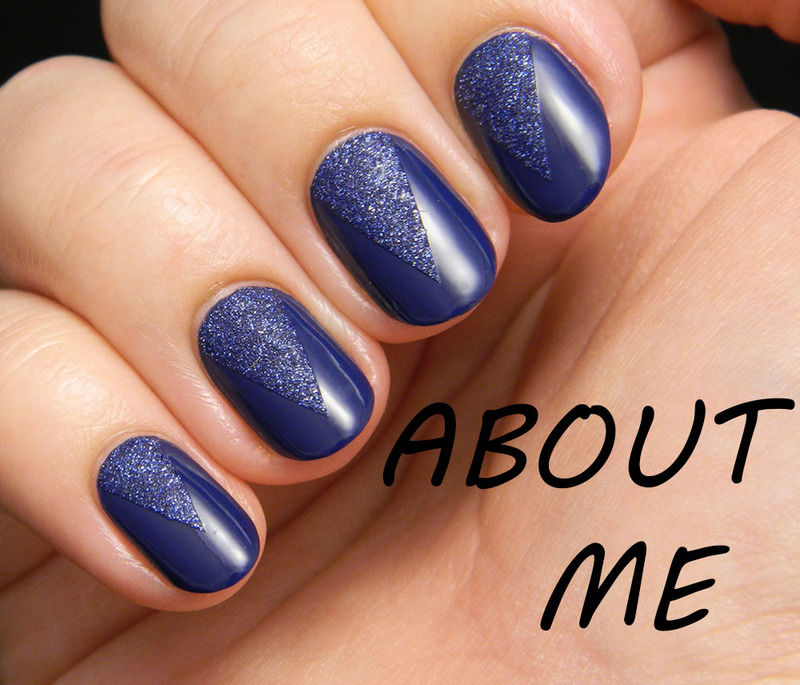 I realize that it might not be for everyone but if you like blues and you like shimmer you can't go wrong. Let me know what you think and if you are thinking of getting this one. 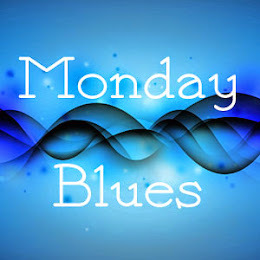 And don't forget to check out the rest of the Monday Blues in the links below!